I don’t know about you, but I love eating things that are wrapped in something else. Be it bread, pastry, cheese or even bacon. It’s like getting two tastes in one bite. 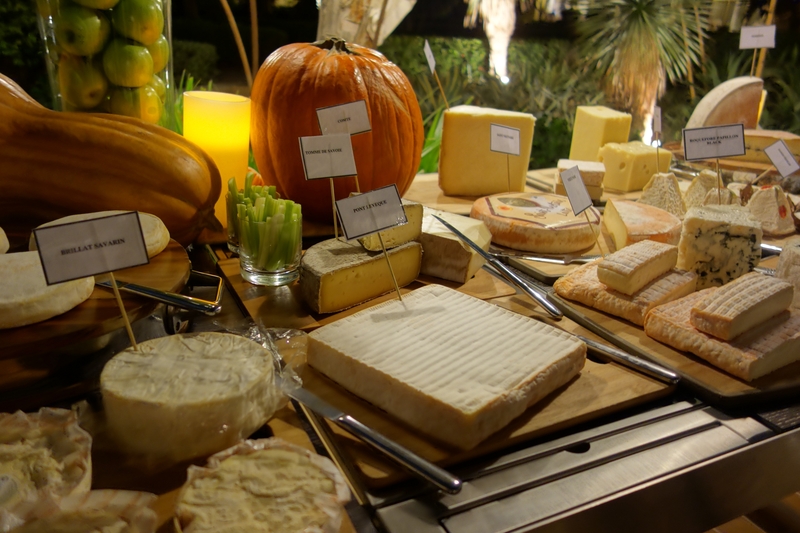 Cheese has been wrapped in things besides bread (ahem baguettes) for centuries. 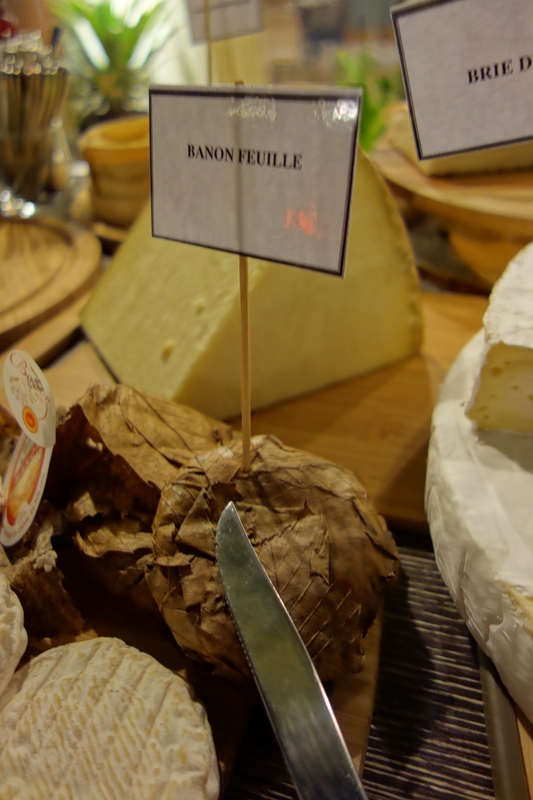 At a recent cheese and wine night at Grand Hyatt Doha I came across this beauty – Banon à la feuille, it is an unpasteurized cheese made from goat’s milk. This pungent uncooked, unpressed cheese consists of a fine soft white pâte that is wrapped in chestnut leaves and tied with raffia prior to shipping. It hails from the region around the town of Banon in Provence, south-east France. Taste wise this was a knock out – full, creamy and fruity. 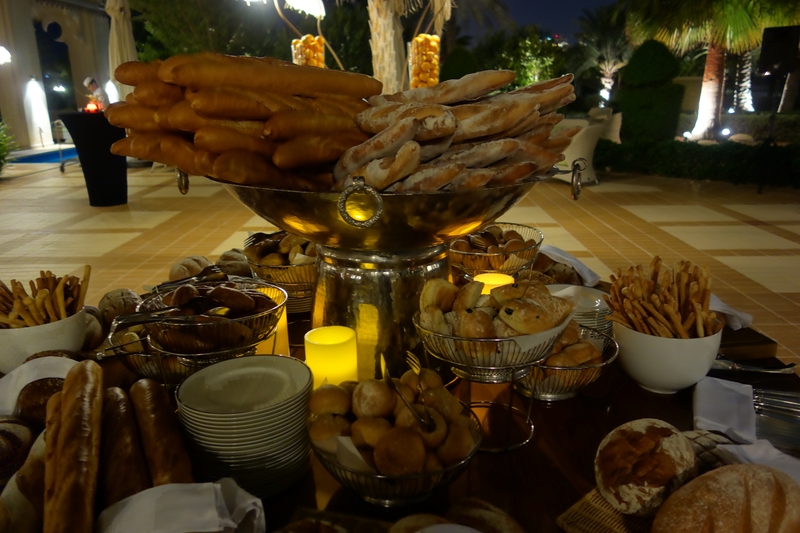 There were more than 20 cheeses on offer at the event, many new to Doha and many made from goat milk. 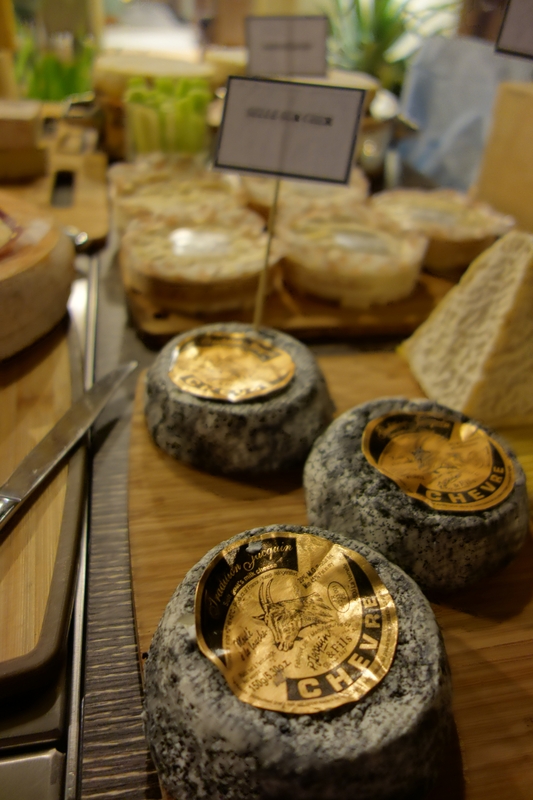 Cheese can also be coated or “wrapped” in ash, like this goat cheese. The ash applied to cheese once came directly from a fire, but is now mainly made from salt and vegetable ash (vegetables that are dried and turned into ash). The ash is sterile, odorless and tasteless. It is used in cheesemaking for both aesthetic and practical reasons – to provide contrast as well as to protect the cheese or help it to ripen. So, proof that cheese can also be wrapped in things besides pastries and my mouth (although I am working on bacon wrapped cheese). Great post and nice pics! I learned something today. The French and their cheese. I’ll never learn it all. Thanks for sharing. Ahh I’m drooling at the sight! I love covered cheeses. Goats cheese rolled in herbs is delish!